The Holy Roman Empire is a confusing concept. As Voltaire once put it, the empire was neither “holy, nor Roman, nor an empire,” and that was indeed true at the time of Voltaire, as the medieval empire had grown into something that, by the early modern period, resembled nothing we understand as a “country” or a “nation” today. While predominantly an empire of German people, as its later name, Heiliges Römisches Reich Deutscher Nation (albeit not an oft-used name), suggests, it is in fact a collection of people who we would regard today as “Germans”—Franks, Bavarians, Saxons, etc—and those who we wouldn’t regard as “Germans”—Austrians, Swiss, Dutch, Poles, Bohemians, northern Italians, etc. The empire is a puzzle, with its pieces coming from people of different nations and religions, with decentralised authorities. It is the empire’s decentralised and lack of coherence from a nationalistic angle that makes its history so unique and difficult to tell. A chronological history would leave various individual aspects of the empire disjointed without common threads, while a thematic history, as Peter H. Wilson has chosen to organise this book, would allow a more coherent narrative around individual aspects of the empire, but would sacrifice the coherence in a temporal sense. 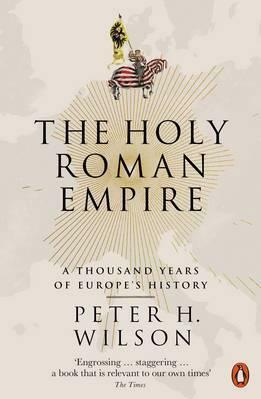 This is an unavoidable trade-off in discussing the Holy Roman Empire, and Peter H. Wilson has done it with an almost superhuman ambition. The result, while at times difficult to follow, is perhaps the best one can possibly achieve in narrating the thousand-year history of central europe, from the founding of the Empire by Charlemagne to the Abdication of Francis II and beyond.